But what about Vape smoke? What if you smell something? Why should you prefer VG-based vape juices? VG is a vegetable based liquid. PG is not. VG leaves behind a greater residue, as compared to PG. As research is rolling in every single day on the benefits of CBD oil. The vaping community has joined hands together and has started a bundle of questions regarding CBD oil and its usage. We always try to address questions regarding CBD oil and vaping. And one of the most common question that a CDB curious consumer might ask is that do CBD vapes smell? Many vape enthusiasts are curious to know if it smells like weed and this potentially reduces chances of people using CBD oil for vaping. However, this blog will try to address all the major questions surrounding the smell of CBD oil. As a general rule, vape pens don’t even come with a lot of odor. It really all depends on the fact that the little odor it has which is because of the use of flavors in it. Do VBD vapes smell require further investigation, but what is possibly the reason why we need it to be odorless? and does vape pen smoke smell? In order for us to precisely answer this question, we need to look at details to find out if vape pen smoke smell or why it doesn’t. First we need to understand that vaping is not like smoking. It is a very different thing and it works on different principles as well. Smoking involves burning a plant and further it involves the process of combustion. This is why we get smoke because when chemicals in a cigarette are burned, the process of oxidation then occurs. When oxidation occurs, the chemicals then react to produce an odor. This process is for smoking which involves the entire process of combustion and oxidation. This is why, we see the fact that there is smoke and it smells. But if we are to point out what actually creates the smell or the smoke. We see that it is fire, which is used to burn the cigarette and which in turns create smoke and that in turns create smell. Furthermore, burning might also create new chemical compositions or modification of the previous chemical compositions. This is also another reason why smoking cigarettes release smoke and smell. We also know that cigarettes have over 7000 chemicals in them. That means, that in a single puff there are chances that you’re inhaling 7000 chemicals directly in your lungs. Vaping by definition is different from smoking. And this can be seen as something which is entirely taken out of proportion when people talk about vaping. The word vaping itself comes from the term vapor or vaporization. Which is the process of converting liquid into gaseous states? Any substance when it becomes a vapor implies the fact that it has not reached its combustion point. Which is the point when it becomes a smoke? Interestingly, many people have no idea that vapes are different in this sense. And they think vape pen no smell. Because that’s how they are. But there is a science behind it, which tells of the fact that vape pen no smell because what you are smoking is a vapor. You might have deduced from the fact that if vaping doesn’t involve combustion. Then there will be no formation of other chemicals as well. We can see from the fact that if there is no formation of other other chemicals. There are simply no chances of smoke or smell. Vaping is different because there is no involvement of burning and smoke. There are only a few chemicals that are even used in vapes. Admit it, if any of us have ever vaped before we have all used the term ‘Vape Smoke’. But is it really right to call it that? 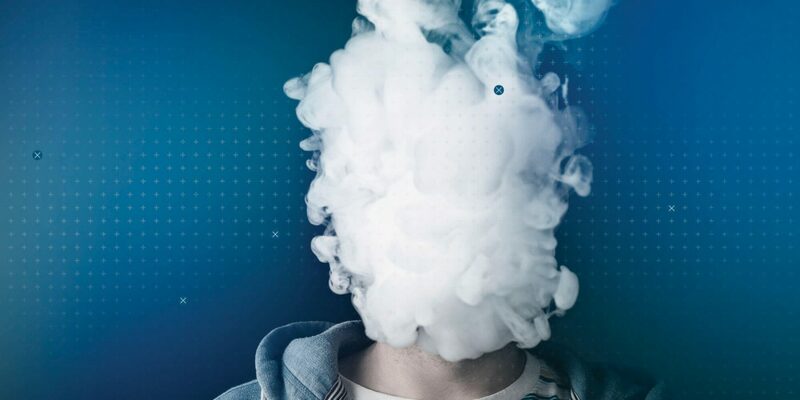 In fact, we believe that the term vape smoke is actually not justifiable and is used wrongly. If you have ever been inside a room where someone has smoked. You will know from the smell that someone has smoked over here. And that smell will linger over there for the longest of times. However, with vape smoke we will see that there are no signs of smell. As well as no odor of any kind. Hence vape pen no smell is justified precisely. Because of the reason that there is no burning of smoke that occurs. There are absolutely a ton of benefits especially social benefits that come with vaping. If we compare it to smoking we see that people are so frustrated with the smell of a cigarette. And not only other people, but a smoker himself sees frustration. If a person smokes in the bed, the smell will affix itself in the mattress and it will permanently have its stench. Vaping on the other hand does no smell. Vape pen also do not smell, as their internal mechanism is built in such a way. That there is no chances of smell at all. A lot of people who have had experience with vaping will tell you. That even though there is no smell such as the smell that comes from smoke. But still there is something that can be smelled from using vape. Hence, the question remains, do CBD vapes smell? Well, it depends on what is inside a vape. Here is a list of things and ingredients that are inside a vape. From this you can get an idea of why there is this distinct slight smell that comes from vaping. These ingredients are used in your standard vape pen. And as you can judge, the smell that occurs in a standard vape and not a CBD one is due to the flavoring. So, even in just standard vape there are no chances of you smelling something harsh. All the smell that you even get a whiff of are completely due to flavoring and not burning. This is good because this smell is not irritating in any slight way, even so that it might be better than other things. As increasingly more and more people continue to realize the threats and dangers smoking cigarettes has to offer, the world sees a decline in an average number of smokers. However, it is not that individuals have waved goodbye to their smoking habits. Vaping, even though with its roots well into the past, is undergoing heavy popularization by today’s culture. It is a less harmful alternative for cigarette, and involves inhaling vapourized E-juice from an electric vapourizer. The main component, which is involved in the process, is of course the juice which is smoked. This article provides an insight in regards to the vaping juice. Read below to discover some amazing facts. As already mentioned above in the blog, e-juice contains only a very limited amount of nicotine inside it. The user has the liberty choose the nicotine range that they want in their e-juice. The nicotine range that is commonly available for users to choose from is zero to twenty four milligrams. If you are a vape user, or someone who is curious of them. Then you must know the liquid that does all the magic. There are basically two types of e-juices that are available for the user to choose from. They are usually very pricey. PG-based vaping liquid: It is propylene glycol that is usually a transparent liquid. VG-based vaping liquid: It is vegetable glycol liquid. It is used to create more vapor than the PG-based vapes. And is preferred more by the users for its natural feel. It is very clearly said that if you are a first time user and really want to build a good impression of vape juices. You need to try the VG-based e-juices. Here are some of the reasons why so. They are available in a wider array of flavor options. The e-juices are more vapors and less liquid which improves its versatile use more. The smoke produced is denser and thicker which allows the user to have a much satisfying and fulfilling experience. This is the component which contains the actual nicotine. However, that is based on personal preferences. One may or may not choose to add the chemical to his/ her liquid. It is basically just a mixture of water, food flavouring, choice of nicotine level. And PG (propylene glycol) or VG (vegetable glycerine) or a mixture of both. It is important to note that the flavouring used is the one which is used in various items we normally consume. For example, fruit juices and ketchups. Therefore, the liquid is safe to use in this regard. VG offers a thick and sweet taste to the liquid. Due to its presence, the vapour tastes delicious and is thicker. For PG, on the other hand, is considerably thinner, and therefore, easier for the wax on atomizer to absorb. Also, it is completely flavourless, and allows no taste overall. We, at Golden Boy Vape Shop provide E-juices that are mixtures of both these chemicals. It is impossible to deny the amazing effects both promise. And refusing to provide our customers with the best is not our policy. Customers often appreciate a combination which is 70 VG/ 30 PG in ratio. And this is exactly the proportion present in our vaping juices. There are some amazing flavours available, including the ever popular red apple, pine peach and sour loop. Now, let’s get on the point. Do weed vapes smell? This question might interest all of us because of the fact that this is what we were really trying to address i.e do CBD vapes smell? Well, the precise answer is no. Basically the difference between standard vaping and CBD vaping is the point. That instead of non-food flavors CBD oil will be used to vape. And yes, most people think that someone can get high on CBD vaping. That is also wrong, but there are a bundle of benefits that come with CBD vaping. So, do vapes smell? No, they do not and this gives you the chance of doing something that you really enjoy. Without hurting the sentiments of anyone else. 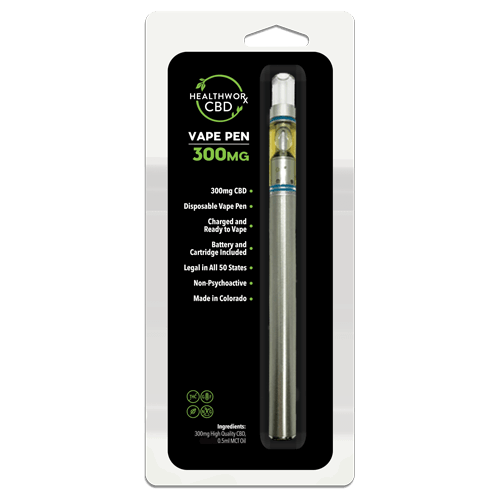 Our CBD disposable vape pen, vape carts and vape juice does not contain THC, VG, or PG. 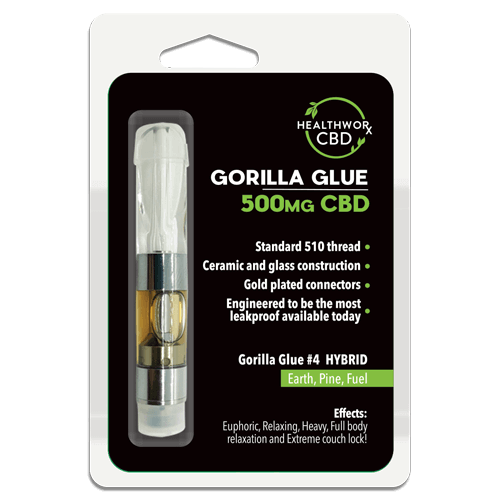 Plus, by using MCT, we can offer a healthier solution for those who desire the convenience and efficacy of vaping CBD. In addition, because we use organic distilled MCT (or fractionated coconut oil), we are able to isolate a specific medium chain triglyceride that is easily converted into ketones. This assists in the absorption of cannabinoids and terpenes into the bloodstream. This entry was posted in CBD News and tagged do vape pens smell, do vapes smell, do weed vapes smell, does vape pen smoke smell, vape pen no smell.